Labour State Minister Herbert Kabafunzaki. 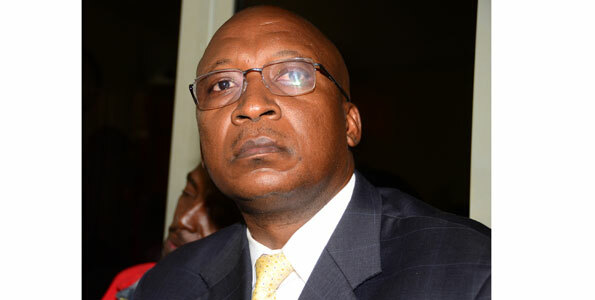 KAMPALA.Labour State minister Herbert Kabafunzaki’s co-accused in connection to a Shs5 billion bribe is mentally sick and may commit suicide anytime, the Anti-Corruption Court has learnt. Minister Kabafunzaki, his aide Brian Mugabo and Mr Bruce Lubowa, an interior designer, are jointly accused of receiving a Shs5m bribe from Aya Group chairman Hamid Mohammed Mohammed, promising to clear his name of sexual harassment allegations brought against him by his former employee last year. On Tuesday, state prosecutor Maxim Elizooba read before court a letter signed by Dr Juliet Naku on behalf of the Executive Director of Butabika hospital, indicating that Lubowa is suffering from secondary depression with many suicidal thoughts. “I have a letter with me from Butabika hospital dated 30th May stating that Lubowa was admitted there on May 1. He was found to suffer from secondary depression as well as having suicidal thoughts and occasional hallucinations,” Elizooba said. “He (Mr Lubowa) was discharged from the hospital on May 21 on the request of the family due to financial constraints. He is still on medication for secondary depression,” the letter added. Prosecution intends to use Lubowa to pin minister Kabafunzaki to the crime. The matter was adjourned to June 25.